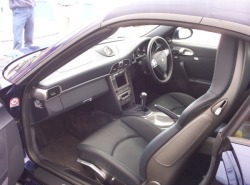 When we at K & S Cleaning services valet your car we endeavour to give you the best possible finish. When we clean the upholstery and carpets we use the same proceedure as cleaning your three piece suite. The machinery we use is the latest extraction cleaner ( Steam Cleaner ). The enviromentally safe detergents give the best possible results for removing dirt and stains while taking care of your immediate enviroment and the wider outdoors. We are backed by the trade providing us with the very latest in powders, liquids, gels and others to leave you upholstery in the very best condition.